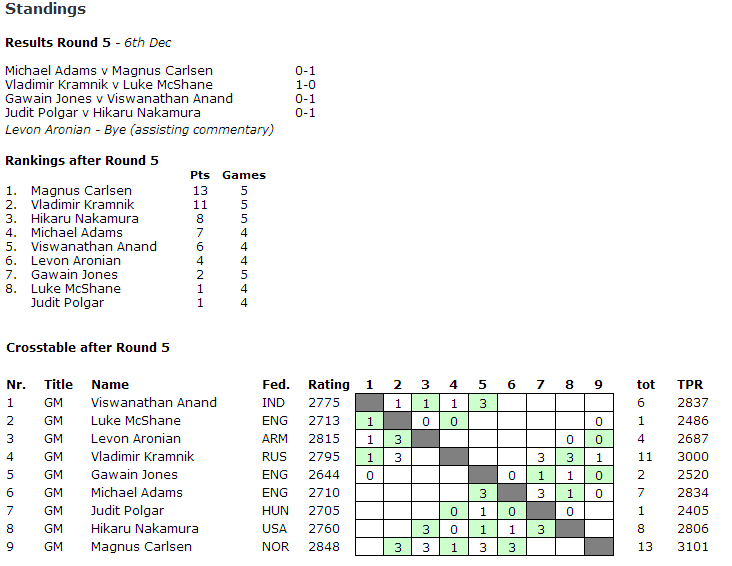 Gawain’s score from these two days were 0-2 but Gawain played “proper” chess which unfortunately is quite doubled edged. Against Magnus as I mentioned, he sacrificed his queen for two pieces which with accurate play would have put any player under pressure but unfortunately short on time Gawain choose the wrong course. Of course, if he could have made something that would have been fantastic but c’est la vie. Сутовскян? Или всё же Сутовскеске? Quote from the discussion on Chessvibes. There was a rest day, when we relaxed played Seven Wonders, walked in the lovely parks and watched Spamalot then it was back to work today against World Champion Vishy Anand. Gawain was surprised by the Grunfeld and choose a topical line in which Vishy actually played against Boris in their World Championship Match, with the white pieces. Gawain erred and played a series of bad moves and quickly lost.